Taxi Leaks: Poor Judgement From Sadiq Khan And Yet Again, Not One Word From Our Largest Org. Poor Judgement From Sadiq Khan And Yet Again, Not One Word From Our Largest Org. It now appears that Sadiq Khan, the CEO of our regulator TfL, has become the face of our competitor. 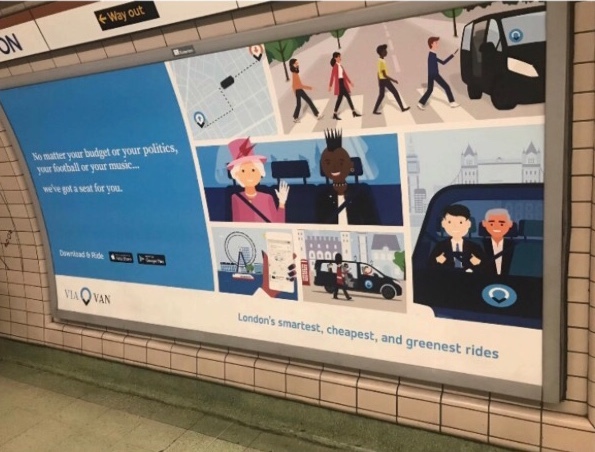 Surely it can't be legal for the Mayor to promote a third party company and allow them to use his image on adverts plastered all over the tube and busses. Known by the nickname selfie Sid, Khan has banned images of females in bikinis, fast food and sugary drinks on TfL advertisements. 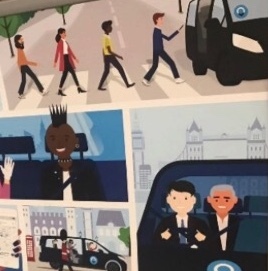 Yet appears to have given the go-ahead for his caricature to be used to promote a service using vehicles he has personally banned the taxi trade from using (the euro6 diesel engined Vito). 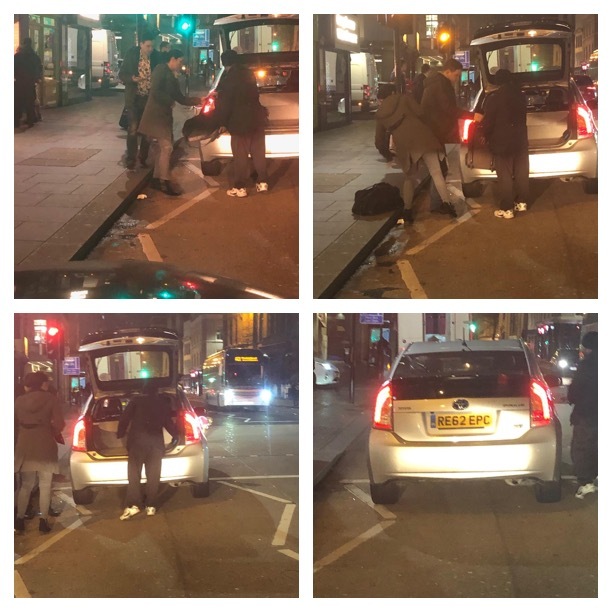 "I can understand why Black Cab drivers might be upset by this. ".....he went on to post the image above of the poster on his Twitter account. Unfortunately missed by Cllr Prince, this poster appears to promote Private Hire vehicles picking up on zebra crossings, an all too common sight now on London's roads, putting pedestrians at grave risk. Yet TfL, our regulator appears by sanctioning this poster, to be giving the thumbs up to ViaVan cars picking up on zebra crossings. Talk about hypocrisy, Mr Browns boys take the biscuit. Bus Drivers reported injured in Bus Collisions in 2018. That's nearly 2 Bus Drivers injured PER WEEK in Bus Collisions. I can only reiterate the comment about the reason to have a mayor & another layer of government. This has surely not assisted any normal working Londoners & to the contrary caused them many problems & costs. Have a look at the new council tax notices for this year & the amount put aside for City Hall, etc. All this money, whilst care services are being cut in every borough & many elderly & disabled people are having their essential care services cut back. These cuts cause great problems to those in society, who would benefit greatly by having a small amount of the money put aside for crack pot road schemes - that cost in excess of a billion. However, I suppose nobody worries about that as these people don’t have anyone to lobby for them, etc. Maybe a consultation could be held that is compulsory to be filled in by everyone & asking; should money be allocated to disabled & vulnerable or road schemes that assist a small minority? At least then it’d be a democratic process - but then again the way democracy is going it’ll soon be spelt .... DICTATORSHIP!!! So there advert shows a crime being commited. The man that banned us and allowed them is also part of there advertising campaign. Also there advert is a lie. They say its the greenest ride. How can it be if there using diesel. Meanwhile there is over a thousand electric cabs. Anyone see the insurance companys details that the car involved in the most accidents in this country is................the toyota prius, and was way ahead of the second candidate, suprise suprise! Also, notice the implied similarity between taxis & the images presented. However, it’s probably just a coincidence😂😂😂😂😂😂! Get rid come the next election & the sooner the better. Vote UKIP get rid of the traitorous lot of them. Any working man who thinks labour are for you. Give up politics you ain't got a clue. This is the one time "EVER" when you must either vote for anyone else or spoil your ballot paper because democracy needs to be shown to have failed and not simply ignored as the life goes on brigade think will happen.